One of the biggest problems facing companies and other organizations is how to plan for the future. What to invest in? Where to place your bets? We don’t have the ability to perfectly predict the future; but we do have the creative thinking skills and behaviors to build an imaginative look at the future and to help companies create powerful future scenarios and plan appropriate implications create powerful future scenarios and plan appropriate implications. The only way to be successful is to be able to build new, advantaged knowledge – what others do not know but we discover through powerful designs. 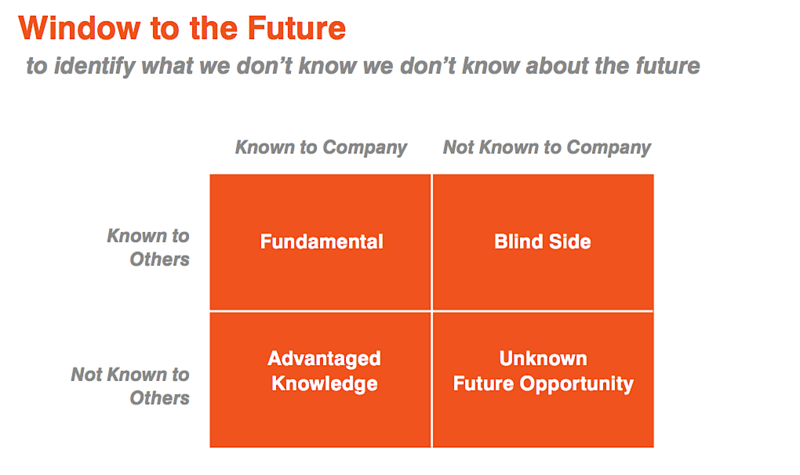 We also want to discover the unknown future opportunities – what we don’t know we don’t know. Foresight is both discovering and creating the longer term future needs and wants of the marketplace. To be successful, we have to do more than long term strategy; an advanced model for foresight requires treating it as much more than the prediction of futurists or a technology development exercise. It should involve both analytical and imaginative thinking, which reaches beyond typical corporate approaches to strategic planning. And, it typically does not have a single answer – clients must consider multiple scenarios and make some collective bets to create a true shared Vision of the Future. Creating foresight should result from a rich creative exploration about where the future might lead and the output is a way to inform long term strategy, research and development investment and acquisition strategies. Organizations need to be inspired beyond pure trend extrapolation. It’s the only way to have a powerful impact on future consumer and customer behaviors, thus profoundly changing the needs they may have for products and services. Foresight process looks at long term trends both regionally and globally and also should include individual catalyst, expert and provocateur stimulus which are designed and selected to challenge and shift future expectations. Senior leaders need to be facilitated in “force-fitting” disparate and emerging aspects of cultural, social, political and technological evolution to break through their own filters in order to imaginatively create alternative future scenarios. A strong Foresight approach explores the contradictions and paradox in market data to build unexpected future scenarios – rather than ignoring that which is disparate. While we can’t completely predict the future – we can certainly be prepared with the right competencies and expectations if we face it, creatively, with an open mind and a powerful imagination. 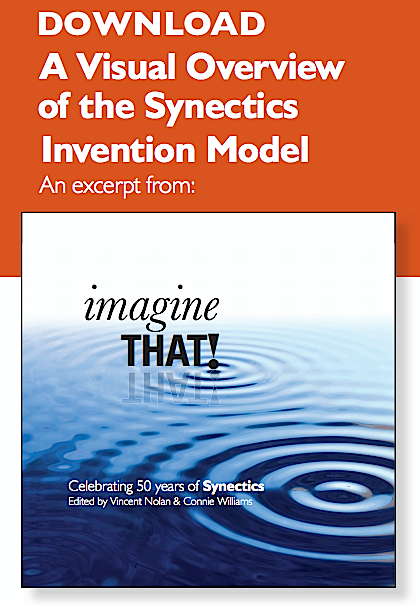 This article is an updated version of Connie’s What’s Next, Foresight chapter of Imagine That! Nice at pointing out the value of “Insight” and “Foresignt”. . . makes me ask, “What about Hindsight”, Connie! Building . . .We know there is much to be learned from those who have embarked before us! Care to say a bit about the value of “Hindsight”, too?